It’s items like these that make me wish my toddler would never grow up. Classic, retro, unbelievably cute storage boxes that are just screaming my name. In my house there is no such thing as too many baskets and boxes. 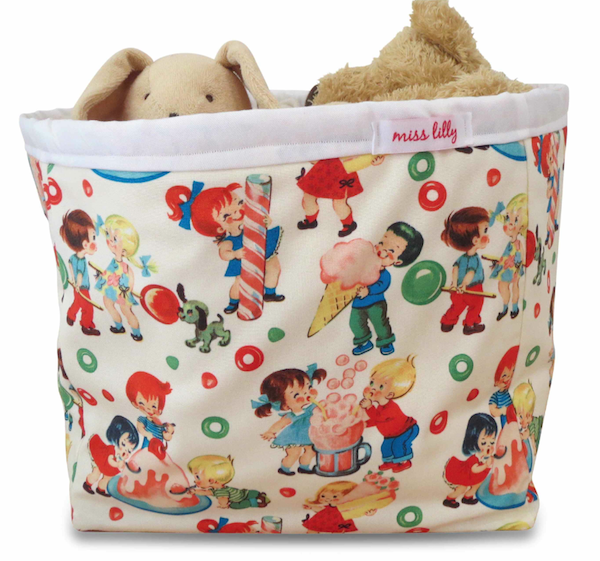 And no matter how many times I declare ‘enough’, I inevitably stumble across something as cute as this Miss Lilly fabric toy box and start finding things in my mind that could do with a new home. 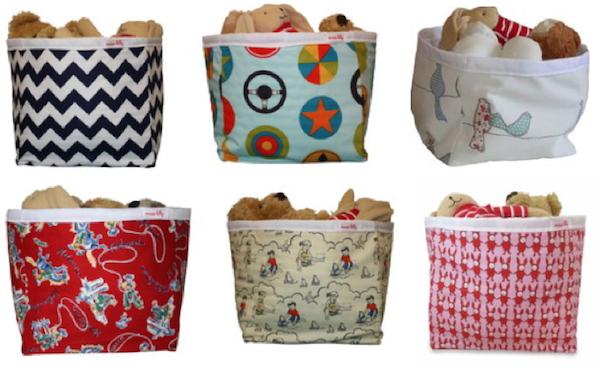 There are so many great fabrics to chose from in Miss Lilly’s range, from the gorgeous Bird on a Wire design, perfect for a gender neutral nursery, to the Navy Chevron which is ideal for lounge room toy storage. The boxes measure 28cm square, are $39.50 each, hold their shape when empty and can be used for clothing, books or craft supplies after their little owners move on from the toy stage. Postage is $8 within Australia. Miss Lilly also sews up a great range of dribble bibs that are only $12 each and ships them free to sweeten the deal.